On February 19, 2019 the Australian Parliament passed new whistleblowing legislation, with it expected to commence operation on July 1, 2019. This legislation is similar to those passed in other countries like the US and France. The goal is to provide more protection for whistleblowers by better defining these protections and who is protected. Why should you read this article? The first reason is that all but the smallest of Australian businesses come under this new legislation. Organisations coming affected by the legislation will need a detailed whistleblowing policy and communicate it to their employees. The second reason is the risk organisations run by revealing the identity of an anonymous whistleblower. Some organisations go to great lengths to identify a whistleblower. Others accidentally identify them because they don’t use the right tools for anonymous communication. Either way, organisations face up to $1 million in penalties if they reveal a whistleblower's identity. In this article, we bring you up to date on the legislation, what this means for your organisation, as well as what steps you can take. 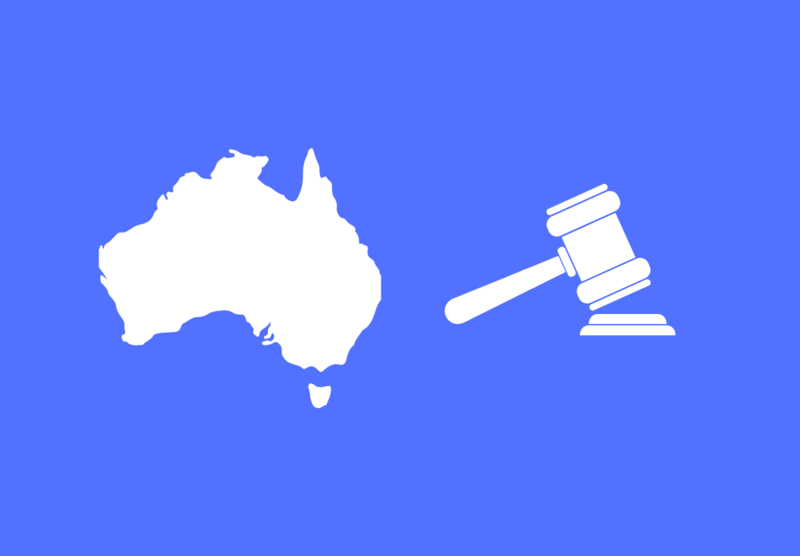 What Is Australia’s Whistleblowing Legislation? The goal is to provide a consistent framework for what organisations are expected to have in place. In addition, it better defines who is a whistleblower and provides them with additional protection. Having a whistleblower program: The legislation dictates organisations of a certain size (detailed later in this article) have a whistleblower program in place. Eliminating the “good faith” requirement: Previously, whistleblowers need to make their reports "in good faith" and their motive should only be to report misconduct. However, this is notoriously hard to verify and it's easy for organisations to link a report with another action that nullifies the "in good faith" requirement. The new legislation does away with this and focuses on the public's interest in knowing about misconduct over the whistleblower's reasons for reporting. Instituting new protections: It expands the protection given for cases of bribery, corruption, fraud, money laundering, and serious misconduct. Strengthening remedies available to whistleblowers: It provides recourse and access to compensation for whistleblowers who are victimised for making a disclosure. Why Has Australia’s Whistleblower Legislation Come About? A desire to protect whistleblowers: A key reason is to do the right thing and help protect those that identify misconduct. Do a web search on “whistleblower” and you will find many stories of the hardship that whistleblowers go through. Knowing the potential negative outcomes can dis-incentivise an employee from identifying misconduct. Existing inconsistencies: While many large Australian companies have instituted a whistleblower policy, these policies are very inconsistent. The Australian Council of Superannuation Investors (ACSI) looked at whistleblower policies and found many significant issues. These included not being anonymous, lacking easy access to make a report, as well uncertainty around identification and retaliation against whistleblowers. The government's goal is to provide greater clarity on what is expected moving forward. The recent Banking Royal Commission has also created momentum for better ways to shine the light on misconduct. Global trends: Countries like the US, France, and surprisingly, Serbia, have already put in place detailed whistleblower protection legislation. Australia made a commitment as a member of the G20 to increase whistleblower protection and help provide safe ways for individuals to report misconduct, crime, and corruption. #MeToo Movement: While much of the earlier focus on whistleblowing was on financial issues (theft, bribery, corruption, etc. ), the rise of the #MeToo Movement has increased attention on sexual harassment and bullying. While not traditionally viewed as “whistleblowing”, many organisations now include a broader range of misconduct in their whistleblower policies. Are You Affected By Australia’s Whistleblower Legislation? Size: Have more than 50 employees. Revenue: Have a consolidated revenue of $25 million or more. Assets: Have consolidated gross assets of $12.5 million or more. What Does Australia’s Whistleblower Legislation Mean For You? If your organisation comes under the legislation, you will need a documented whistleblower program in place by the end of 2019. Based on the legislation coming into effect July 1st, 2019, organisations will need to have compliant whistleblowing policies in place by January 1st, 2020. What do you need to do? Check what policies, processes, platforms, and employee education will you need. Learn more about what you should think about by reading our “7 Questions To Ask When Planning Your Whistleblower Program”. What support you will need? Depending on where you sit in your organisation, you might need help from your human resources, legal, risk & compliance, and technology teams. How long will it take? Think about how long each step will take to complete in your organisation. Some interdependencies mean you will need more time. From our experience, there are two areas that take more time than expected. The first is developing the questionnaire whistleblowers will use to make a report. The second is educating your employees about your whistleblower program. The biggest risk is not your organisation not having a whistleblower program (although that's a risk that comes with a penalty as well). It’s having a poorly defined and executed whistleblower program. With penalties up to $1 million for revealing the identity of a whistleblower, you need a program and the tools to ensure you are having 2-way, anonymous communications. Tools like email and Google forms don't provide this nor do they protect a whistleblower's identity. Without the proper tools, revealing a whistleblower's identity is much easier. Whether it's intentional (like what happened at Barclays) or accidental, it will still violate the new legislation. The best way to lower your risk is to look at is how you can use processes and technology to protect a whistleblower's identity. What Are Your Next Steps Regarding Whistleblowing? Like any successful program, it comes down to your policies, platform, and people. Policies: Understand what you want to achieve from your whistleblower program. While this article focuses on compliance with the new legislation, you also want to identify risk and blind spots in your organisation. Think about the behaviours you want reported, who will handle reports, and how you protect the identity of whistleblowers. It's also wise to plan how you will report misconduct to your senior leadership and board. Platform: Look at what tools will help your whistleblower program. Key needs include communicating your program, submitting reports, having 2-way anonymous communication, as well as investigating submitted reports. With more employees from Gen Y and Gen Z, you'll also want to look at what channels they want to submit reports. Having mobile, web, and live chat submission as well as tools like QR codes all help employees use the mode they are most comfortable with. People: A whistleblower program is only as good as how well your employees know about it. Invest the time to communicate your program to your employees. Make sure they understand what to report, how to report it, and how you are protecting their identity. For more insight on the journey a whistleblower goes through, please read “Why The Whistleblower’s Journey Is Important (And How To Improve It)”. This legislation is here and it will affect a significant number of organisations in Australia. It’s important to start now as putting a successful whistleblower program in place is not an overnight exercise. However, this work will yield results; organisations with whistleblower programs in place face fewer lawsuits, lower litigation costs, and have greater profitability and productivity*. According to the Association of Certified Fraud Examiners (ACFE), whistleblowers identify 40% of fraud cases compared to only 15% by internal audit. Use your whistleblower program not just to meet the need dictated by the legislation; use it to identify risk and help your organisation have "courageous conversations".